Good ol' Radio Box Seals - Now New and Improved!! Available in 4-40 and 2-56 sizes. Sold in packages of three, or seals can be purchased with pushrods. Apply a light coat of grease or Vaseline to the inside depression and attach with CA. No more trying to attach with Silicone that seemed to never "stick". 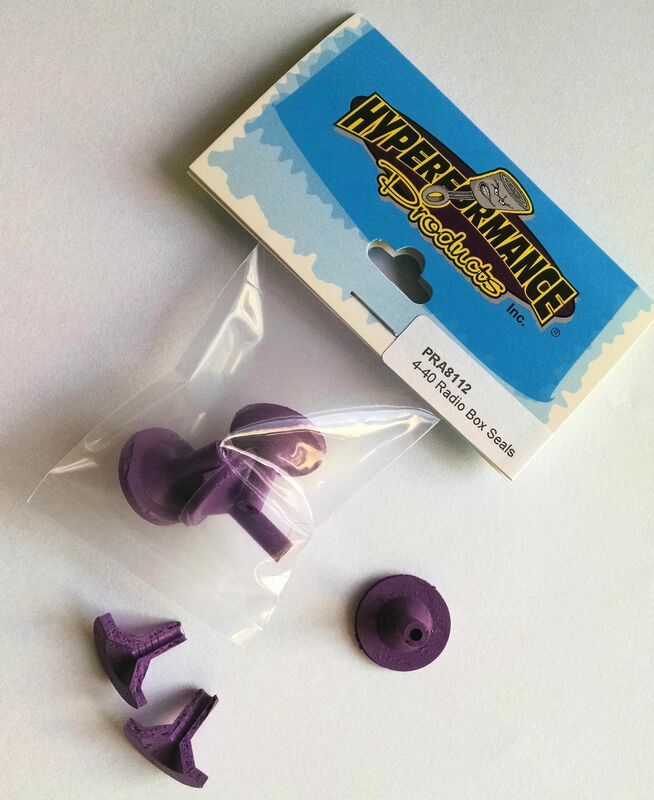 Now available in our signature "purple" color in a new compound. Impervious to nitro and gas. Keep your radio gear dry!